It’s been a long time, yeah? I know I haven’t written in a while (sorry about that), but I’m back with a bite sized post which I’m hoping will provide some food for thought. No seriously, this is going to be a lot shorter than my usual posts. What am I going to write about? 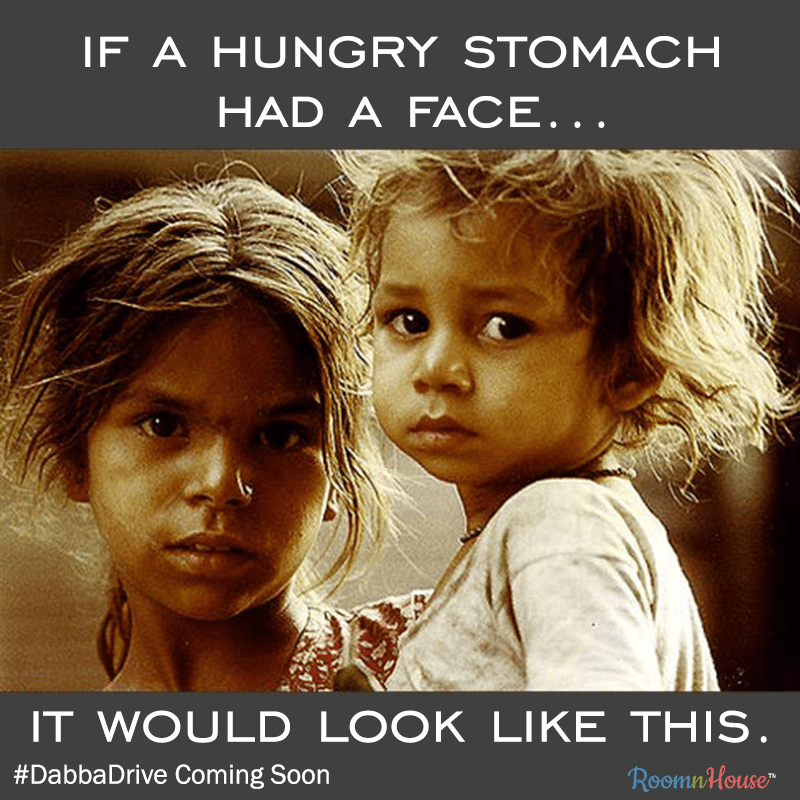 Well, #DabbaDrive. It’s simple really. Dabba means box, usually and almost always a lunchbox. So what’s the deal with a hashtag followed by Lunchbox Drive? It’s a little weird and far fetched, to understand, because affluent folks like you and I can afford luxurious meals, and shield ourselves from this steady decline in the condition of fellow humans around us. Their skins are tanned from the sun, expressions weary from constant rejection, and hands always begging. For mercy, for money, for food. To us, afflicted of affluence, mercy, money, and food are different things, to them, it’s all the same. They are the people of the streets, the orphans of the city, living with a tyrannical witch of a life. Devoid of pleasures we take for granted, they hold out more than any of us. I’m not suggesting, we bring them into our households and shower them with money. We earned that money, with our sweat, on our time. this, of course, is from a series of visuals in the pre-launch phase of the drive..
I’ve already done my bit.